We all already know the importance of having fresh fruits and vegetables. A healthy diet should include fruits and vegetables are not only good for the body but also for your skin and hair. It is undeniable fact that your diet affects your skin and hair. Unhealthy foods not only makes you look dull, but also cause some hair problems like hair loss and hair damage. Many foods that can help treat skin and hair problems. For example, bananas are one of the popular fruit that is very beneficial for skin and hair care. Similarly, there are some healthy vegetables such as spinach, broccoli and carrots are good for the hair. Hair loss is a common problem of everyone. Even after taking proper hair care, the problem turns out msih there. So, here is a list of fruits that you can use to prepare a package of hair and cure hair loss naturally. Orange can be used for hair to promote hair growth and cope with hair loss. 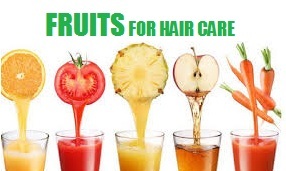 You can also use the juice or extract to your hair to get the best results. Grapefruit This citrus fruit is a rich source of Vitamin C, an antioxidant that increases blood circulation thus reducing hair loss naturally. Lemon beneficial to give beauty to the hair. You can apply lemon to treat hair loss, dandruff, itchy scalp and dry naturally. 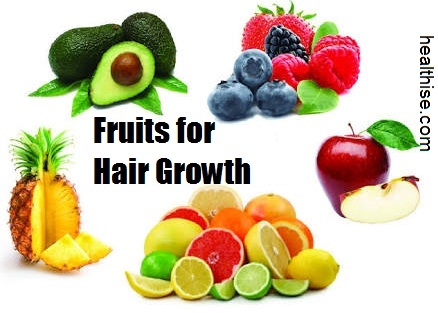 The dark coloured fruits also help treat hair loss and increase hair growth. It contains natural chemicals called bioflavanoids which increases blood circulation in the scalp thus reducing hair fall naturally. Cherries are rich in bioflavanoids that can help treat hair loss naturally. To have healthy hair, you must have plums. You can add the pulp of plums to your hair mask to reduce hair loss. Mashed banana pulp if applied on the hair and scalp treats hair loss and helps get shiny and lustrous hair. Guava is rich in vitamin A that promotes new hair growth and also increases the function of mucous membranes. Add few drops of honey and lemon juice if you have dandruff. Mix and apply on your hair to get the best results. Juicy extract of papaya is a natural exfoliator for the skin and hair. If mixed with milk and honey, it not only treats scalp problems but also reduces hair fall naturally. This fruit is mostly used to treat scalp problems. If your scalp is not clean, it can lead to hair fall. So, a homemade peach hair mask can be of great help. Why men and women facing baldness or hair loss panic about losing hair but do nothing. Yes, there are plenty of options open to take care of your hair.